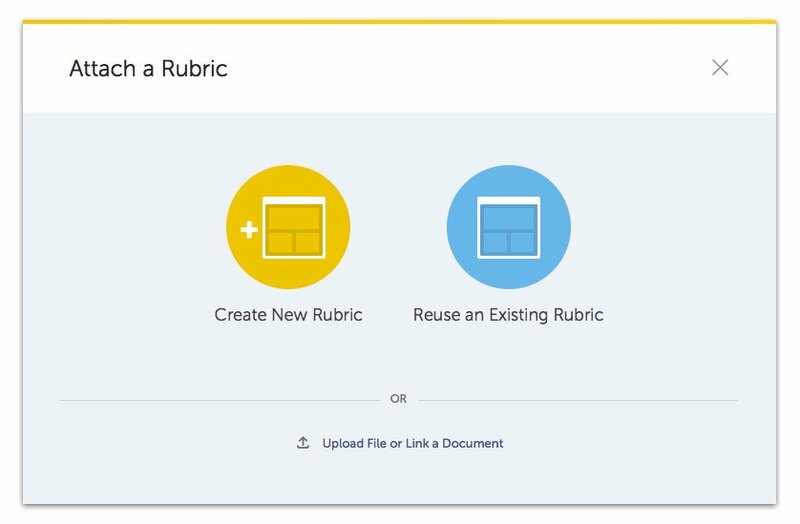 Require Reflection means students will be prompted to reflect on the Rubric prior to submitting their assignment. 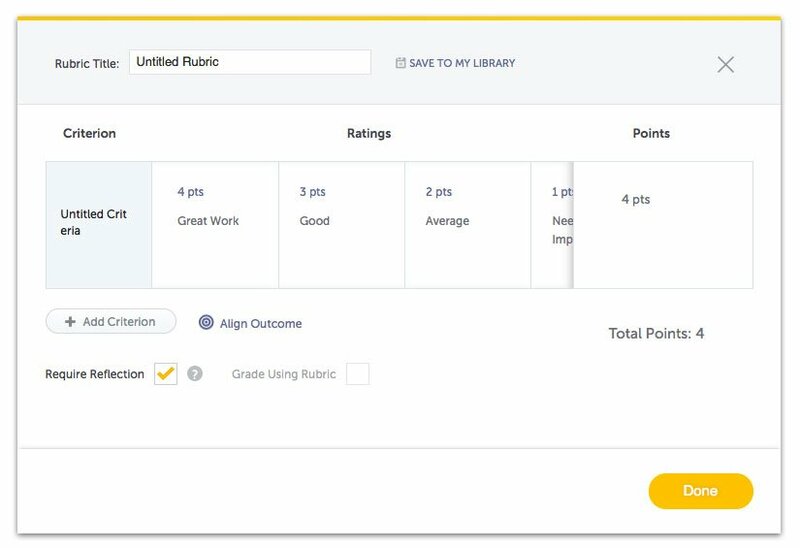 Grade Using Rubric means you will be prompted to rate the criteria when you grade this assignment. The rubric grade you assign will calculate the grade on the portfolio.